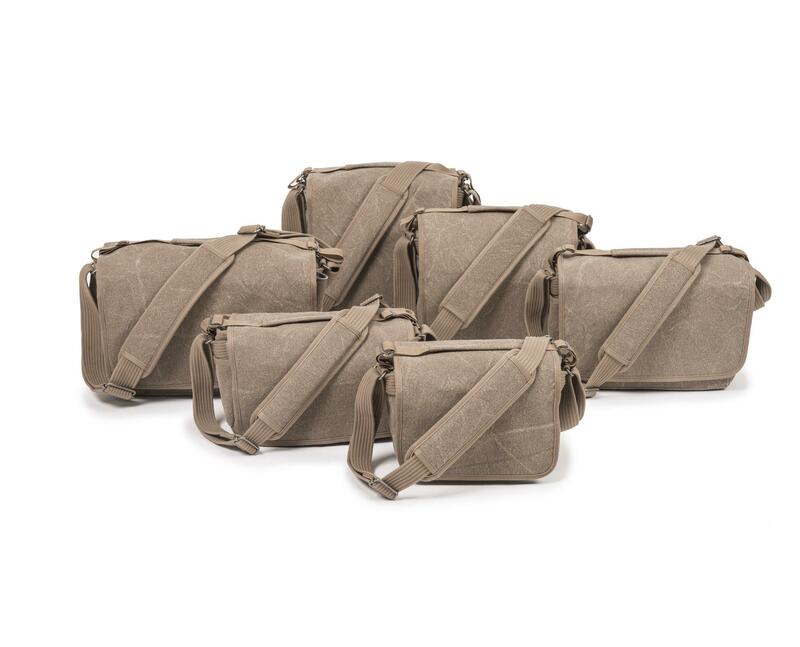 The Retrospective™ 7 Sandstone is a soft-sided camera shoulder bag, which is the perfect size for standard DSLR systems. 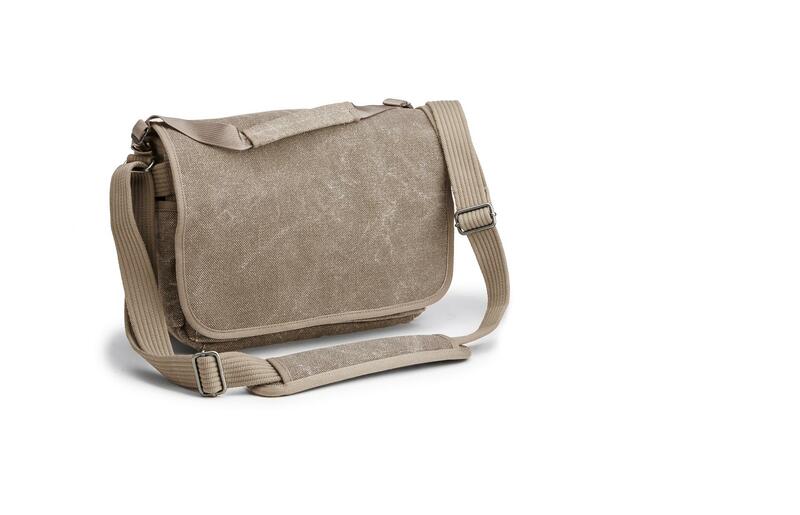 A rear pocket holds your iPad or and 11” Mac Book Air. With Hook and Loop "Sound Silencers" on the front flap to eliminate noise while opening the bag, you can remain inconspicuous in any situation. WHO IS THE RETROSPECTIVE FOR? This range has been created for the professional photographer who wants to blend in with the crowd and remain inconspicuous in any situation. Ideal for photojournalists and travel photographers. 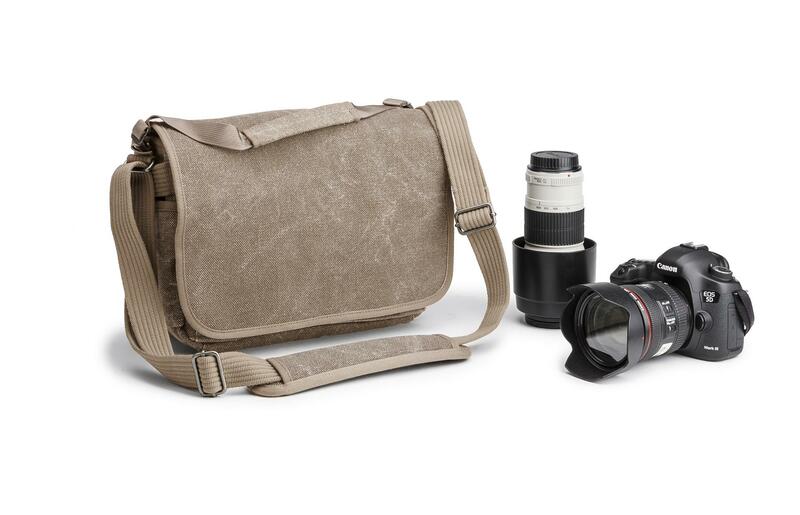 Think Tank Photo product designers have blended the look and feel of "old-school" camera bags and have infused it with "new-school" features and technology for the digital imaging age. 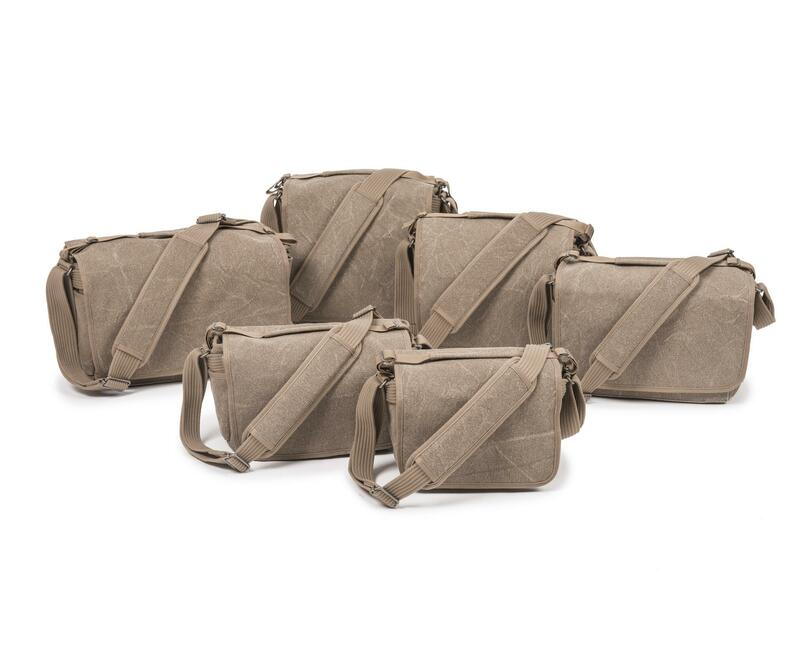 These lightweight, ergonomically designed bags use soft and supple fabrics that conform to your body. The colours are derived and influenced by nature, and the features and quality that you have come to expect from Think Tank Photo bags all come together to form the Retrospective collection. Each Retrospective™ bag comes in a choice of either black poly spun fabric, pinestone or slate blue cotton canvas. 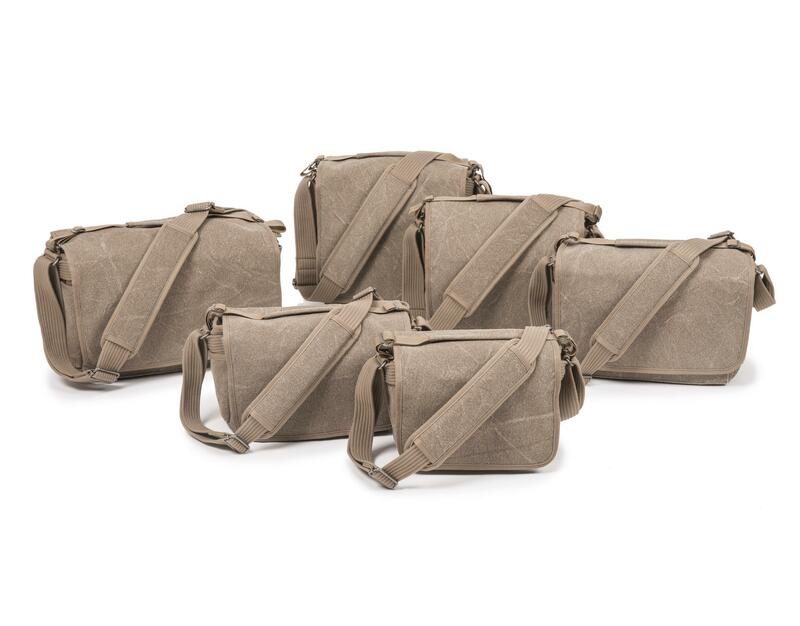 This series of camera shoulder bags is full of individual character and uncompromising quality, influenced by the past and made for professionals. Organiser pocket built into main compartment for pens, note pad, batteries, etc. *bag softness and flexibility allows enough expansion to carry a pro size DSLR body facing down, with a lens attached inside the main compartment.